aka "The Shels" or "The Reds"
Leinster Junior League 1896/97; Leinster Senior League; Irish League 1904/05-1914/15, 1919/20; League of Ireland 1921/22-1933/34*; Dublin Athletic Union League 1935/36; League of Ireland 1936/37-1984/85; Premier Division 1985/86; First Division 1986/87; Premier Division 1987/88-2006; First Division 2007-2011 Premier Division 2012-2013; First Division 2014-date. 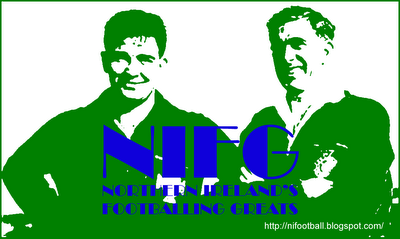 * Shelbourne were suspended from the League of Ireland in 1934 following a dispute with the FAI. 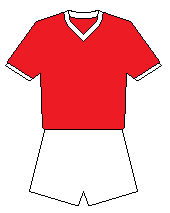 Although they competed in the Athletic Union League during the suspension, a new club, Reds United, was formed by Shels-backed players and personnel. They competed in the Leinster Senior League in 1934/35 and the League of Ireland the following season, but resigned to allow for the re-admission of Shelbourne in 1936. # declined to apply for a UEFA licence following demotion to First Division.